You'll be £12.99 closer to your next £10.00 credit when you purchase Breach of Promise to Marry. What's this? While Dickens' embittered spinster Miss Havisham stopped all her clocks on her wedding day and 'never since looked upon the light of day', the reality was much brighter for thousands of jilted women. The real Miss Havisham's didn't mope in faded wedding finery – they hired lawyers and struck the first 'no-win, no fee' deals to sue for breach of promise. Based on original research, this social history of breach of promise shows that when men behaved badly hell had no fury like a woman scorned! As featured on Woman's Hour, in the Daily Express, Irish Mail on Sunday, Sheffield Star, Eastern Daily Press, Portsmouth News, Norwich Evening News, Glossop Chronicle, Tameside Reporter and Hull Daily Mail. This book will open your eyes to a little talked about chapter of the history of women in the U.K. In the 1700’s lawmakers created the legal right for brides or grooms to sue for breach of promise to marry. Most of the cases were brought by brides who had been jilted but the author does include a chapter about how grooms fared if they sued. The laws were created in an attempt to keep women off the welfare rolls, since at the time, most women needed a husband to support them. In the beginning juries made decisions about damages based on the code of contracts law. This began changing in the 19th century along with increasing numbers of suits being brought to court. The law continued in place until the mid-20th century. The author tells the story of the law and the book is loaded with examples of both successful and unsuccessful cases. Along with the history of the law in the courts, the author also points out the changes in the social culture during the years this law was active, and the impact of culture on the decisions of juries. I found this book fascinating and hard to put down. The author’s thorough research is evident in the text. The chapter divisions are well-organized and appropriate for the subject. This book would be very interesting for history buffs or those interested in women’s issues. If you want a little light relief from challenging family history research then dip into the pages of this book, where you will find engrossing stories which could just inspire you. As seen in the Tameside Advertiser. Examining real cases of breach of promise, the author gives us a fascinating slice of social history, and an insight into a bygone moral code. This is a fascinating piece of social history, which will be of great interest to many family historians. 'Breach of Promise to Marry' gets the 'Your Family Tree Magazine's' Seal of Approval! An engrossing look at a forgotten law that affected our ancestors. What emerges is also a social history of marriage and marriage laws, so important for understanding the period in which your ancestors lived. This book's stories of either the man or woman being wronged are fascinating...there's an incredibly detailed amount of information on the law that can't fail to interest history buffs and legal eagles alike. Bates tells the stories of some interesting cases from 1790s until the 1960s. Breach of promise was a law in force between 1780 and 1970 under which a jilted man or woman could seek damages after a broken engagement, yet today itâ€™s largely forgotten. 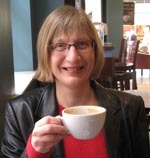 Denise Batesâ€™ book â€˜Breach of Promise to Marryâ€™ sheds light on this little known law and explores the different ways in which it was used to claim for compensation after a seduction led to pregnancy; to exact revenge and financially ruin an ex-suitor; to illegally extort money in order to set up home with another lover; or simply to seek recompense for â€˜hurt feelingsâ€™. Meticulously researched, this book is packed with detailed case studies and information from contemporary sources such as newspapers. Whatâ€™s clear is that the road to matrimony was fraught with difficulty and it was a foolish man who proposed marriage and then broke off the engagement. 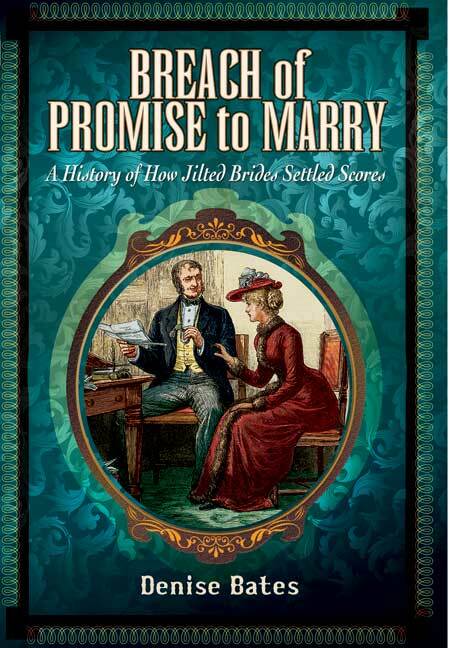 â€˜Breach of Promise to Marryâ€™ is a fascinating read for anyone interested in social history.